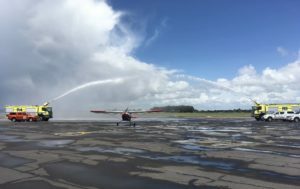 Thank you to RNZAF Base Auckland for giving us such a spectacular welcome to NZ . The news crew have complied a wonderful compilation of the events that proceeded including the fire-engine water arch and the Haka! Once again, thank you to all involved for it was a truly memorable event.